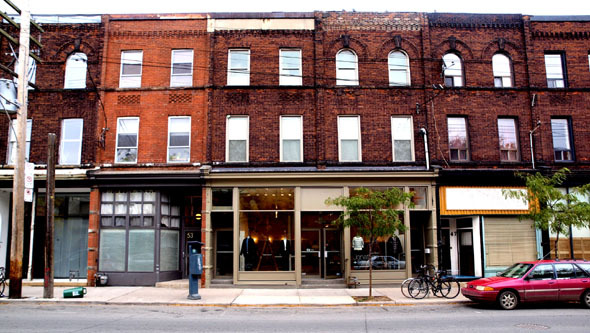 There's an interesting - and potentially frightening - experiment happening on Lower Ossington right now, and how it turns out could affect how you shop and eat and party for years to come. It's been five months now since Ward 19 councillor and deputy mayor Joe Pantalone dropped a surprise interim control bylaw on the street - a "bar ban" that stopped any eateries and drinkeries from opening while a study was undertaken on where the street was going. At a public meeting last week, the results of the study were revealed, and among the recommendations is an ongoing ban on patios in backyard spaces of restaurants and cafes and a limit on the potential size of restaurants, among other regulations. From here, the proposed new by-law will go to Toronto and East York community council on November 10, and then to the City of Toronto council meeting at the end of November. "I would fully expect it to be approved," Pantalone tells me. "They didn't offer any facts," says Pol Cristo-Williams, owner of Sweaty Betty's, a bar at Queen and Ossington that had its hip credentials buffed when Drew Barrymore ditched her own film fest party to hang there. "There are no facts. I don't know why they're calling it a study - all they're doing is copying the College Street by-laws, and College Street is a mess, it's a dying neighbourhood. 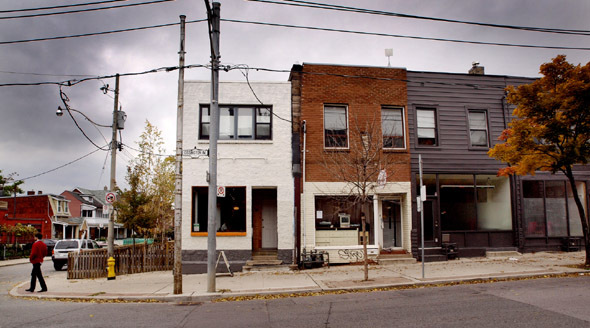 After they prove that they've screwed up College Street, they're going to screw up Queen West and Ossington." Cristo-Williams has a lot of complaints about the city's treatment of bar and restaurant owners, most of them centred on masses of red tape, a lack of transparency in dealing with city regulations and by-laws, and the confusing language of city zoning, such as the fact that there's no designation for bars at all. 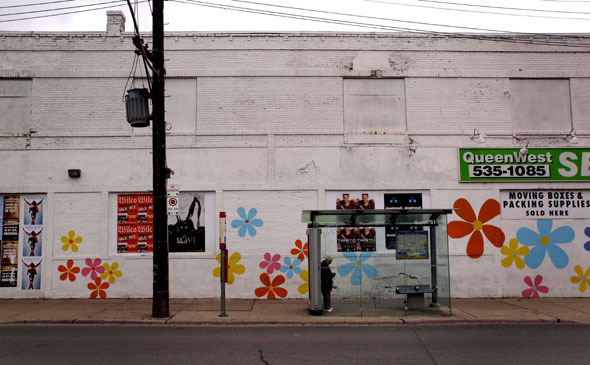 Most of all, though, he's angered by the way Ossington is being turned into a petri dish, whose new by-law, once approved, will probably have an effect on a new city-wide harmonized by-law that Pantalone says he favours, if only for the sake of simplification. "I think confusion creates more delays and problems," Pantalone tells me. "People, by thinking they're going to open a restaurant easily and open a rear patio easily ... You may open a restaurant not knowing that, thinking it's easy, and then - surprise, surprise! If you have clarity you're better off as a businessman because you remove the unknown." When Toronto amalgamated in 1998, the varying by-laws of six municipalities were welded together, and the harmonized by-law will finally deal with that, Pantalone says, though he adds that he's not in favour of a potential new regulation requiring every restaurant to provide parking spaces - a demand he admits is completely unrealistic in his dense, cramped downtown riding and on a street like Ossington in particular. He supports everything else in the Ossington study, however, but adds that if someone wants to apply for a rear patio, they can always go to the committee of adjustment for a variance. Dundas and to Bloor and Lansdowne. I wouldn't be surprised if they put a by-law in there - 'Oh look - it's going to grow, let's kill it first.'"